The computing world is one that has undoubtedly become more financially accessible to many over the years. However, it is also one where developments are being made on a daily basis in some areas. If you are a business that needs up-to-date computer equipment, as most do, it is incredibly uneconomical to resort to outright purchasing every two years (or sometimes less!). The equipment barely has the time to pay for itself before it is considered “old-fashioned” and it is unlikely to return much money if sold. This is where leasing steps in. Statistics show that the most popular reason for opting to leasing, as voted by customers, is the ability to have (and to keep having) the latest equipment without a constant stream of paperwork to fill out. With HardSoft we certainly ensure that this is the case. Whilst lease agreements officially last 3 years, we give you the opportunity to Renew your PC equipment after just 18 months or your Apple Mac equipment after just 2 years. What’s more, you can choose to give the old equipment back or retain it for personal use – many customers simply take it home for the children! Are there any other reasons to choose leasing? The answer is yes. Another popular decision maker amongst customers is the fact that, unlike purchasing, leasing enables effective budgeting and tends not to affect bank credit lines. Lease payments can be deducted from your taxable income so you know exactly how much money is going to be coming out of your account and when, allowing you to channel finance into alternative areas of the business such as staff. Furthermore, with HardSoft, you can opt to make lease payments weekly, monthly or yearly – whichever is best for you! Maintenance is another burden that comes with purchasing. If something goes wrong it could be incredibly expensive to repair or replace All HardSoft leases come with unlimited telephone technical support from our Apple Authorised Technicians who can also visit you on-site is necessary. And computer insurance can be added to cover any eventuality. Are you a new business? If so, leasing with HardSoft is the best option for you. Outright purchasing is a bank breaker for established companies, let alone start-ups! A lease agreement frees up some cash which could be spent on marketing strategies to get your business’s name known, for example! Furthermore, lease finance approval isn’t impossible. As avid supporters of new businesses, our underwriters should be able to help you within around 48 hours as long as you are able to provide us with the necessary information. In fact we are official promoters of the Million Pound Start Up For companies who have been around for over 3 years, approval can be as quick as 1 hour! 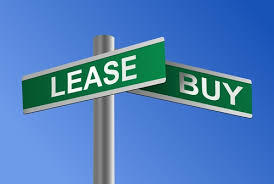 If you are interested in finding out more information regarding the benefits of leasing for your business then feel free to give HardSoft a ring on 0207 111 643 or pop in to our Cheshire Street Office, just off Brick Lane, where someone will be happy to speak to you. HardSoft have trained Apple engineers and sales professionals and have been trading nearly thrity years and remain the only Authorised Apple Stockist in Londons Tech City area.